In addition to the effect that alcohol and other drugs have on the body, they have an effect on the brain, and this is also a problem for drivers. You need your brain to be in full-functioning mode while you're driving, focusing on the necessary activities of controlling your vehicle, not craving a "fix", or being preoccupied with anything other than driving. Many people view drug and alcohol abuse and addiction as strictly a social problem. Parents, teens, older adults, and other members of the community tend to characterize people who take drugs as morally weak or as having criminal tendencies. They believe that drug abusers and addicts should be able to stop taking drugs if they are willing to change their behavior. These myths have not only stereotyped those with drug-related problems, but also their families and communities. Drug abuse and addiction comprise a public health problem that affects many people and has wide-ranging social consequences. Drug and alcohol abuse begins when an individual makes a conscious choice to use drugs or alcohol, but addiction is not just "a lot of drug use." Recent scientific research provides overwhelming evidence that not only do drugs interfere with normal brain functioning creating powerful feelings of pleasure, they also have long-term effects on brain metabolism and activity. At some point, changes occur in the brain that can turn drug and alcohol abuse into addiction, a chronic, relapsing illness. Those addicted to drugs and alcohol suffer from compulsive drug and alcohol cravings and usage and cannot quit by themselves. Treatment is necessary to end this compulsive behavior. 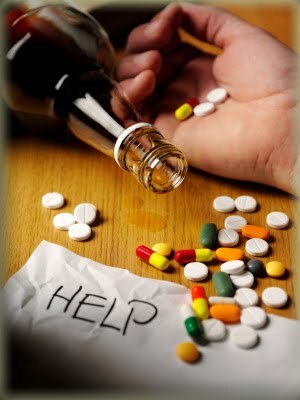 Drinking and/or taking drugs is usually a sign that the users are trying to avoid things that are bothering them: pressure from friends, stress in the family, the feeling that adults are on their case, poor performance in school, or a bad feeling from thinking that they're different from everyone else in the world. When people start taking a drug, the drug makes them feel like they're escaping to something that's easier, something that feels better. After some time, escaping becomes more difficult because, over time, the body needs more and more of a drug to get the high that once came easily. Often, users just end up chasing after the first high. Unfortunately, the more drugs a person takes, the higher the risk of getting addicted and/or overdosing. It is an all-too-common scenario: A person experiments with an addictive drug. Perhaps they intend to try it just once for "the experience." It turns out, though, that they enjoy the drug's euphoric effect so much that they use it again - and again. In due time, they decide they really should quit. They know that despite the short-term high they get from using the drug, the long-term consequences can be devastating, so they vow to stop. Their brain, however, has a different agenda. It now demands more of the drug. While their rational mind knows that they shouldn't use it again, another part of the brain overrides such warnings. Unbeknownst to them, repeated use of the drug has brought about dramatic changes in both the structure and function of their brain. In fact, if they had known the danger signs, they would have realized that the euphoric effect derived from using the drug itself is a sign that the drug is inducing a change in the brain. They also would have known that as time passes and the drug is used with increasing regularity, this change becomes more pronounced and indelible, until finally their brain has become addicted to the drug. And so, despite their heartfelt vow never to use the drug again, they continue using it. Their drug use is now beyond their control. It is compulsive. They are addicted. While this turn of events is often a shock to the drug user, it is no surprise at all to researchers who study the effects of addictive drugs. To them, it is a predictable outcome. No one starts using drugs with the intention of becoming a drug addict. All drug users are just trying it once or a few times. Every drug user starts out as an occasional user; the initial use is a voluntary and controllable decision. But as time passes and drug use continues, the person goes from being a voluntary, in-control experimenter to a compulsive drug user with no control at all. The fact is that drug addiction is a brain disease. While every drug of abuse has its own "trigger" for affecting or transforming the brain, the results of the transformation are strikingly similar regardless of the addictive drug that is used - and of course in each instance, the result is compulsive use. These changes have a tremendous impact on all aspects of the person's behavior. In fact, the drug becomes the single most powerful motivator in the life of the drug addict; they will do virtually anything for the drug. The harmful outcome of experimenting with drugs is in no way intentional, but it occurs nonetheless. Just as no one wants to have lung cancer when they smoke or to have a heart attack when they eat fried foods, no one wants to become an addict when they use drugs. But in each case, the behavior can lead to tragic health consequences. At a minimum, addicts have to adhere to their drug treatment regimen, but this can pose an enormous challenge. The changes in their brains that turned them into compulsive users make it a daunting task to control their actions and complete treatment. Making it even more difficult is the fact that the cravings become heightened whenever they are exposed to any situation that triggers a memory of the drug use. Little wonder, then, that many drug addicts can't quit on their own, even if they want to. For instance, only about seven percent of those who try in any one year to quit smoking cigarettes on their own actually succeed. This is why it is essential that addicts enter a drug treatment program, even if they don't want to at the outset. So if you think taking drugs or drinking alcohol is just experimenting and part of what everyone does when they're figuring out their way in the world, think again! Some experiments can lead to ongoing problems or to permanent damage. And for people whose families have a history of alcoholism or addiction, experimenting is really risky. Just as with heart disease and cancer, substance abuse often runs in families so for those people, a bit of experimentation could lead to serious dependency in no time at all. But you're not off the hook if substance abuse doesn't run in your family. Addiction is a powerful thing and it can take hold of anyone at anytime. Drugs are addicting because of changes they create in a person's body and brain. These changes cause the person to crave the drug. Basically, if a person has that insatiable craving for any substance, they're addicted, and it doesn't matter if they've only used once or every day for months. Psychological dependence exists when a drug is so central to a person's thoughts, emotions, and activities that it is extremely difficult to stop using it or even stop thinking about it. Like physical dependence, psychological dependence is a cause of continued drug use. With a psychological dependence, the body can still function properly without the drug, but the brain still craves the drug, even though the "high" is not as intense. Alcohol is considered a recreational beverage. Due to the long history and widespread alcohol use at parties, bars and recreational activities, hence alcohol is considered a recreational beverage, the clinical manifestations of alcohol intoxication are usually not taken seriously. However, The adverse effects of alcohol at sufficiently high levels can cause coma and respiratory with time. 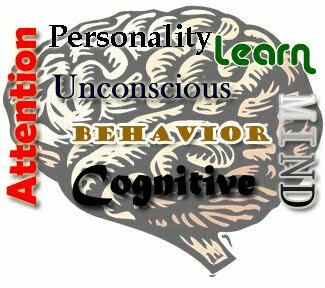 Impaired Judgement: alcohol in the bloodstream leads to the brain and the frontal lobe, the person can be impaired at first (judgement, decision- making, awareness) they could fall/jump out of a window. Alcohol acts as a solvent and dissolves brain cells and supporting tissues. Impaired Muscle Coordination: state of euphoria, remains unbalanced, feels confident, loss of motor coordination and balance, mental abilities, judgement is impaired (likely to be injured in falls, and in common household acts). Decreased peripheral vision, multiple vision, blurry vision, dizziness and night vision impairment: muscles around eyes, less capable of contracting and expanding eyes. Slowed complex reaction time: ability to accept and use multiple inputs from surroundings decrease --extreme uses of alcohol leads to drowsiness as brain functions are depressed - after the initial “high” comes drowsiness, coma and then death as the final stage. Heart Damage: heart functions depressed, ability to contract/expand is reduced (more pronounced in coronary heart diseases) alcohol interferes with conduction of electrical impulses of heartbeat, use and abuse of alcohol = build-up of fatty tissues and less efficient in nutrients too. Liver Damage: filters out poisons of alcohol by making it into CO2 and H2O (capable of converting 0.6/hour) alcohol impairs livers (liver functions, production of blood clotting elements, breaking large proteins, storage of Vitamin A, glycogen and filtering all blood intestines to heart) when liver is injured, it swells and fat accumulates in liver cells (deteriorated vision, body nutrition declines).